Enter the National Museum of Singapore’s newest gallery and you might be in for a shocking surprise – there are no physical artefacts on display! The first digital gallery at the National Museum of Singapore, Gallery10, aims at being an experimental space where the relationship between art and digital technology is celebrated and explored, allowing more opportunities for people to collaborate and express their creativity in innovative ways. “The role of the museum has changed over the years, expanding its focus beyond presenting things of the past to include creating a connection with the present. 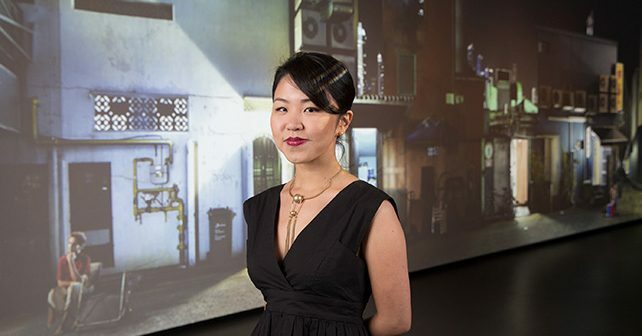 Gallery10 is a space that provides us with the opportunity to do just that and more, through the adoption of digital and future technology to create an immersive experience for our visitors to engage with history and art,” said Director of the National Museum of Singapore, Angelita Teo. 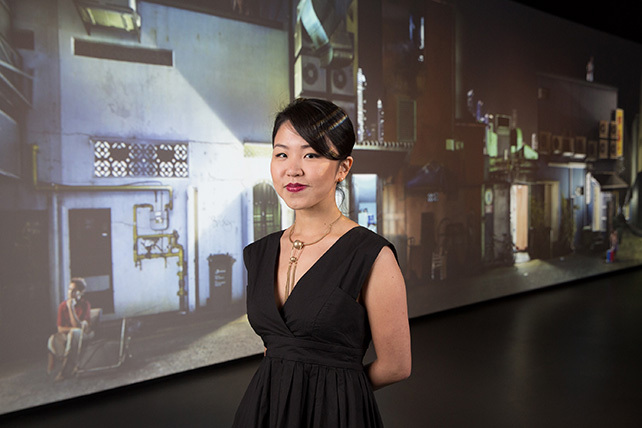 In line with the National Museum of Singapore’s aim of creating relevant and engaging museum experiences for its visitors, Gallery10 is equipped with advanced projection technology to enable artists to challenge the boundaries of both art and technology to present an immersive, multi-disciplinary exploration of the world around us. Testament to that is the very first art installation at Gallery10 titled Art of the Rehearsal. A permanent showcase at the gallery, the artwork is created by multidisciplinary artist, Sarah Choo Jing in collaboration with renowned commercial cinematographer Jeffrey Ang. Visitors will step into the familiar back lanes of cultural districts in Singapore through a three-channel immersive video installation that depicts Singaporean dancers across various ethnicities rehearsing before their performance. Jointly presented by the National Museum of Singapore, National Heritage Board and the National Arts Council, this project showcases traditional art forms from a fresh perspective and is an example of how Singapore’s traditional arts can be preserved excellently through modern technology. It allows visitors to engage with traditional arts in innovative ways, engaging younger audiences and encouraging them to express themselves creatively. While Art of the Rehearsal is a permanent showcase at Gallery10, the gallery space will also see a slew of upcoming innovative projects and collaborations with creative organisations. The gallery is currently open to the public. For more information, please visit http://nationalmuseum.sg/.